What's new from the new standard then? Well there's a new Native Command Queuing (NCQ) streaming command for Isochronous data transfers and NCQ management features, and a new connector for 1.8in hard drives, but the most fundamental part of the update for us is the speed bump. 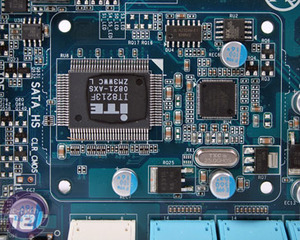 Note that just like SATA 3Gbps should not ever have been called "SATA II", SATA 6Gbps should never be referred to as "SATA III" according to the official SATA-IO documents. And rightly so, because it's confusing to consumers! Seagate is converting its hard drive range in the biggest naming revamp for a while. In the future you will be able to buy Barracuda LP (low power) - that spin at lower spindle speeds - Barracuda 7200.x drives which we are used to, the latest currently being the twelfth generation, and now the Barracuda XT offering the biggest and best of everything Seagate has to offer the consumer market in terms of mechanical storage. Seagate's Barracuda XT looks like any other SATA hard disk, except with a sticker that says "Seagate Barracuda XT 2TB"
What the Barracuda XT offers is not actually new to the market though. Well, except for SATA 6Gbps. Inside is a 2TB drive that uses 500GB per platter and spins the four of them at 7,200RPM. Combined with 64MB of cache it matches the 2TB Western Digital Black in terms of hardware, so naturally we've faced off the two against each other in the upcoming benchmarks. 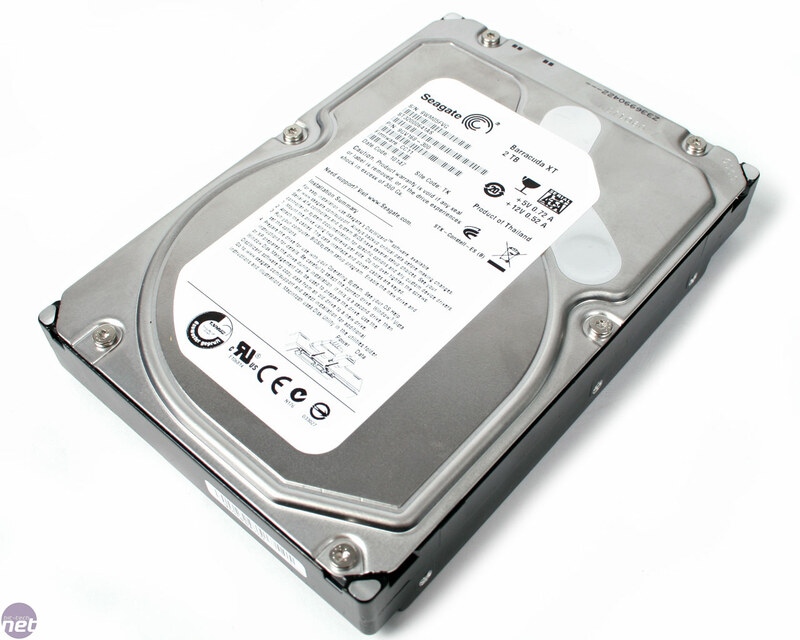 Combined with a five year warranty, Seagate has you well-covered; although as a premium, performance disk drive you'll pay a through the nose (£225-£240) for the privilege to own a drive such as this. The new Marvell chip was due to launch with Intel's P55 chipset, but was pushed back because of firmware/software issues we were told, not to mention the fact that Seagate's hard drive wasn't ready for public release until later this month. 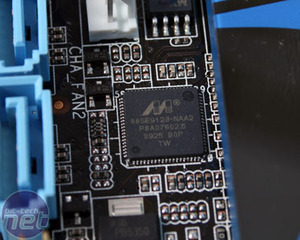 These issues have apparently been fixed since the revamped set of SATA 6Gbps enabled boards are starting to trickle out from motherboard manufacturers like Asus and Gigabyte. Inside the 88S9128/3 Marvell has crammed two SATA 6Gbps sockets and a legacy ATA133 parallel port since hardware manufacturers still request it, although it can obviously be ignored. In addition to this there's "hardware" RAID 0 and 1 on the "8" but not the "3" which Asus uses. It's all connected via a single PCI-Express x1 2.0 lane as well. 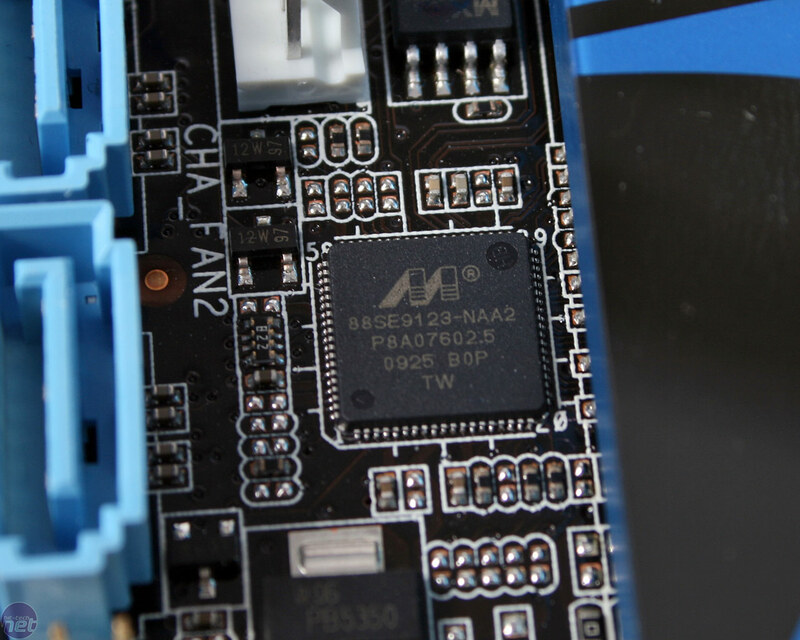 The bandwidth is key to this chipset, and supporting PCIe 2.0 allows a "true" SATA 6Gbps bandwidth. 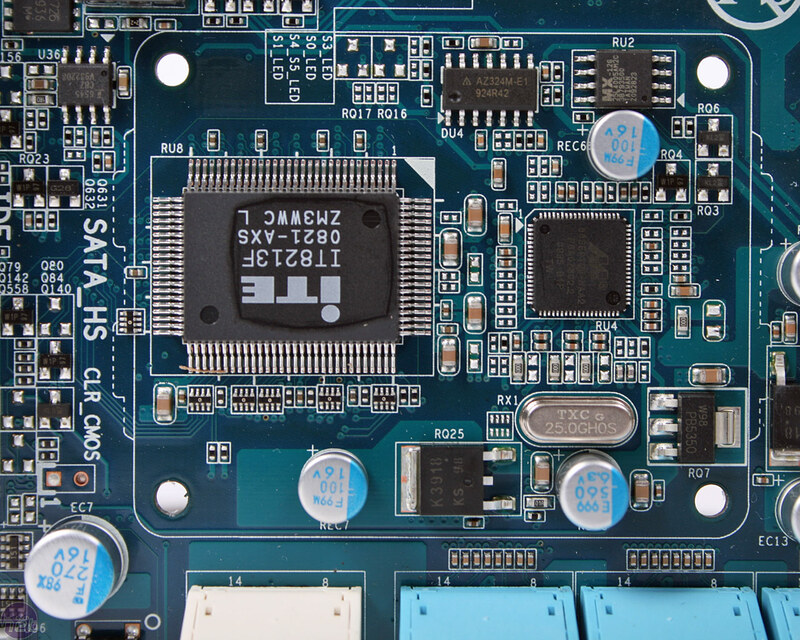 We say "true" because even the 500MB/s from a Gen 2.0 PCI-Express x1 lane is only 65 per cent of the theoretical maximum 768MB/s enabled by the new standard. If we bolt the Marvell chip directly onto a P55 chipset, it gets Gen 1.1 bandwidth (as Intel claims P55 is Gen 2.0 "compatible", which it needs to be anyway to adhere to the PCI-Express standard), offering only one third the bandwidth potential: a clear bottleneck. In fact, current SATA 3Gbps chipsets saturate a Gen 1.1 PCI-Express x1 bus in the same way: with a 384MB/s SATA standard forced through a 250MB/s bus.